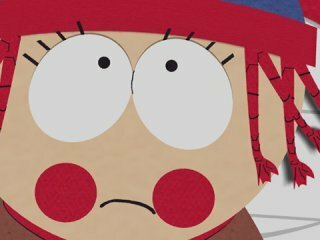 South Park Episode 107 - "Pinkeye"
The first Halloween episode starts off with the failure of the Mir Space Station, which crashes right on Kenny. An ambulance comes and takes his body off to the morgue. The boys start to brag about their Halloween costumes. 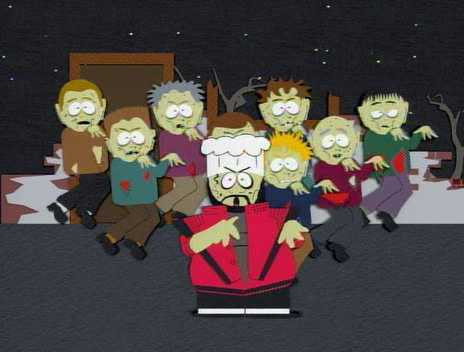 At the morgue, a freak accident involving a bottle of Worcestershire occurs, and next thing you know Kenny is a member of the undead. Kenny breaks free and wanders off into the night.